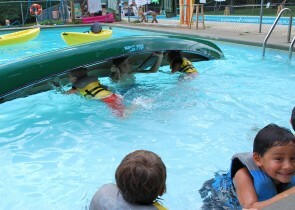 Camp Riverlea is accredited by the American Camp Association. Every few years, we become re-accredited by compiling written evidence and documentation of standards compliance and having a standards visitor come to inspect and tour Riverlea. ACA accreditation ensures that we keep up-to-date with the highest safety and quality standards for our facilities and programs. Our most recent accreditation visits were in 2014 and 2017.